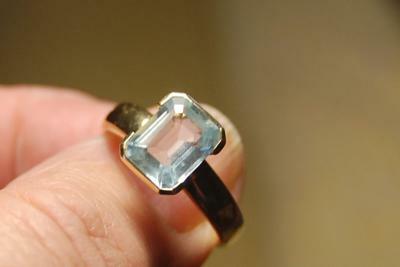 bought an aquamarine ring from UK, the hallmark is small and fine on outside of band. 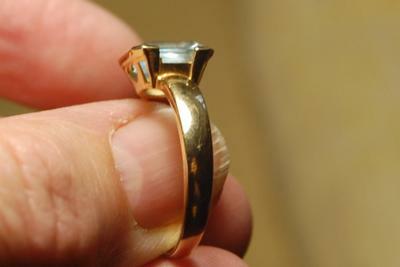 It looks like 00071 then a small cartouche with 750A inside it. 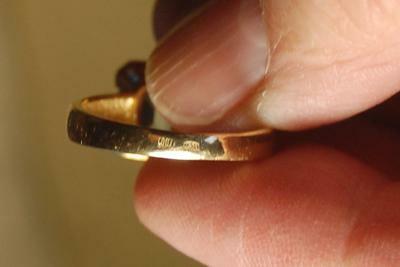 The inside of the ring is hollowed out but not the part of the band where the hallmark has been applied. Has it been made bigger? Smaller? 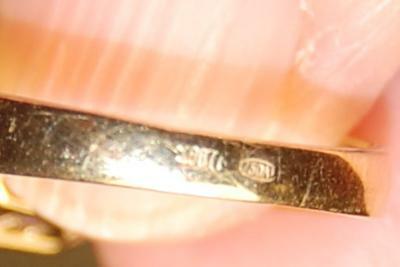 I would love to know more about this ring. Age, country of origin if possible, please.